Nick is a rising star in the Sunstar organization. 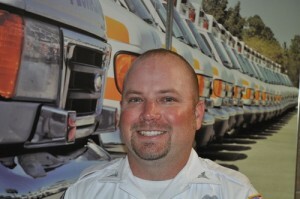 He is being nominated for the 2016 American Ambulance Association Stars of Life for his leadership, mentoring of new employees, and outstanding patient care. In 2015 Nick received the prestigious Care Plus award for patient care and attained multiple recognition levels within the Sunstar STAR program. In addition, Nick assisted Paramedics Plus in opening a new operation in Sioux Falls, South Dakota. Nick was instrumental in preparing for a seamless transition in service to the community of Sioux Falls. Sunstar is very pleased to nominate Nicholas Eberhardt for the 2016 American Ambulance Association Stars of Life.